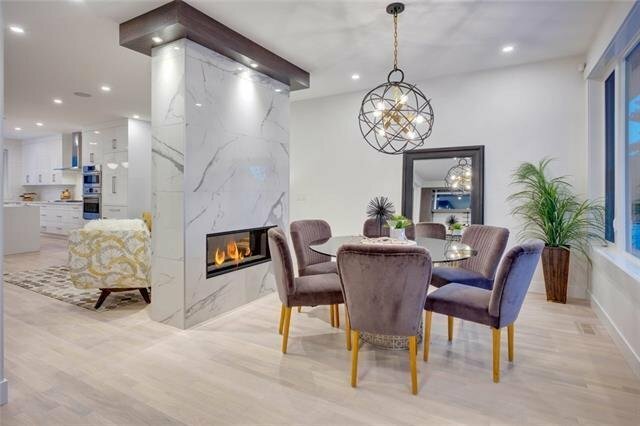 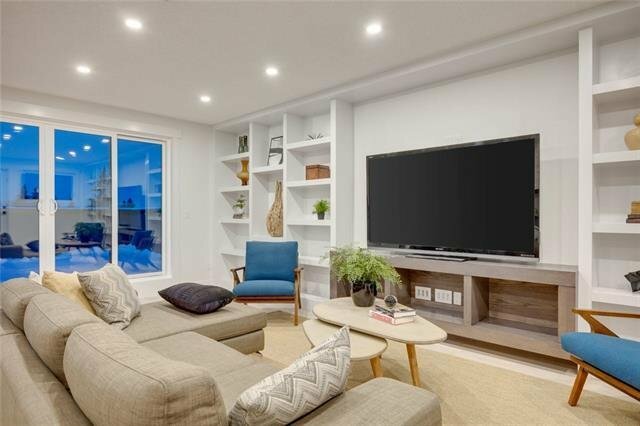 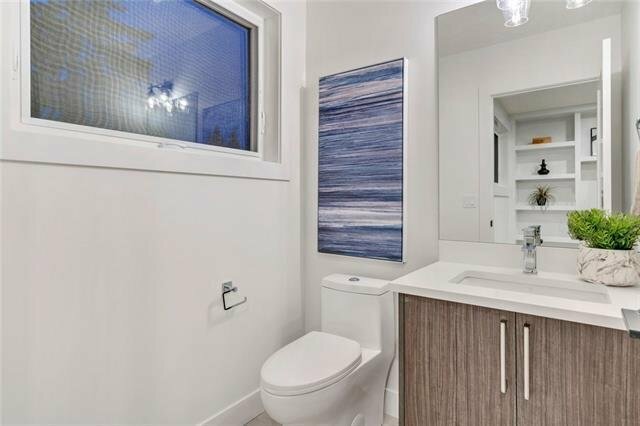 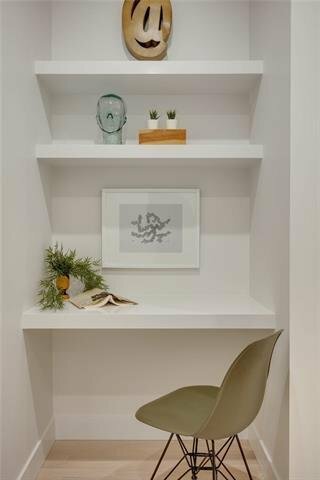 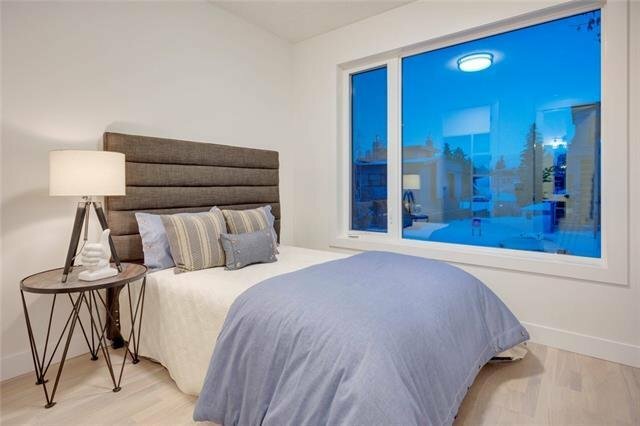 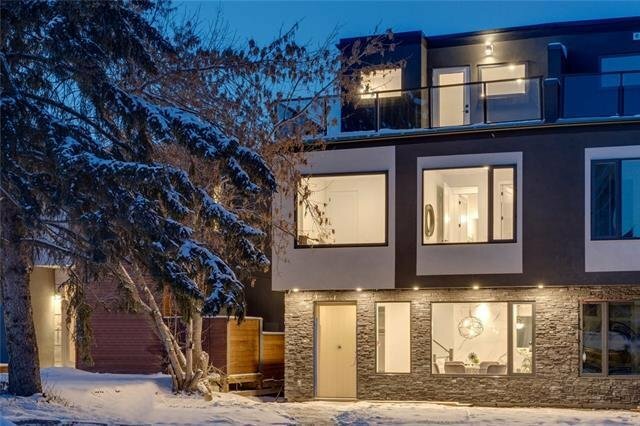 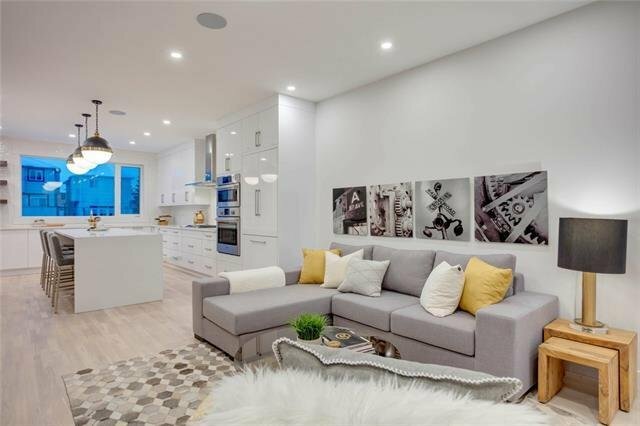 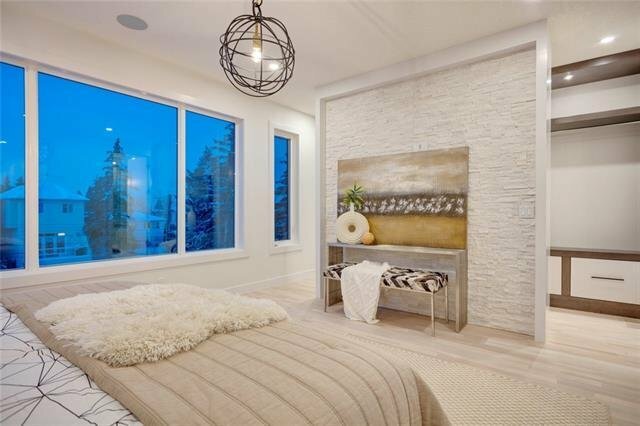 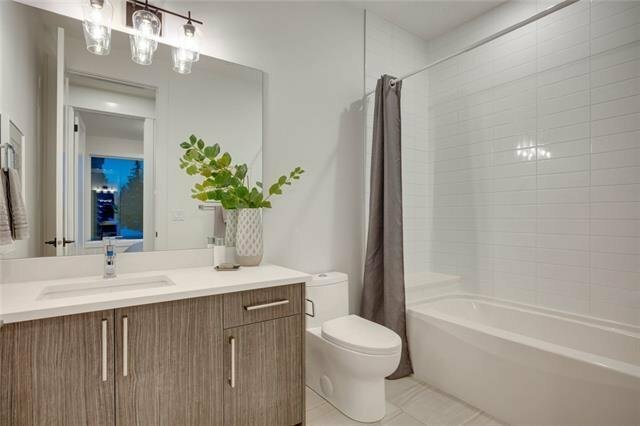 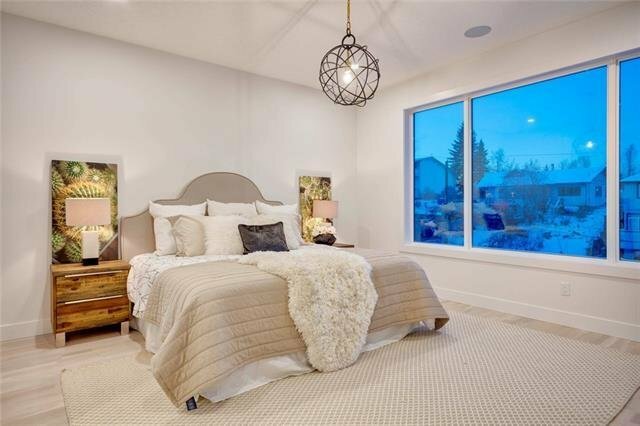 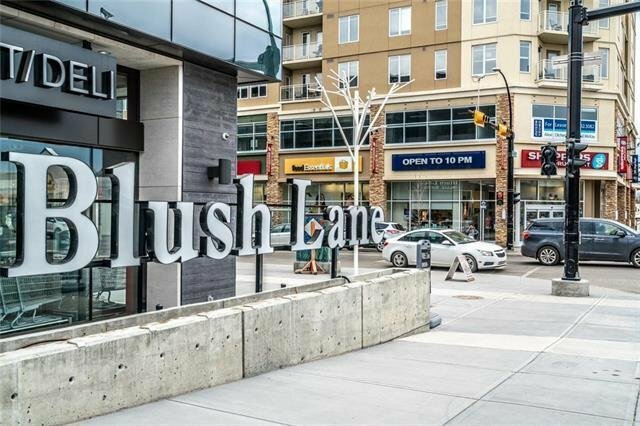 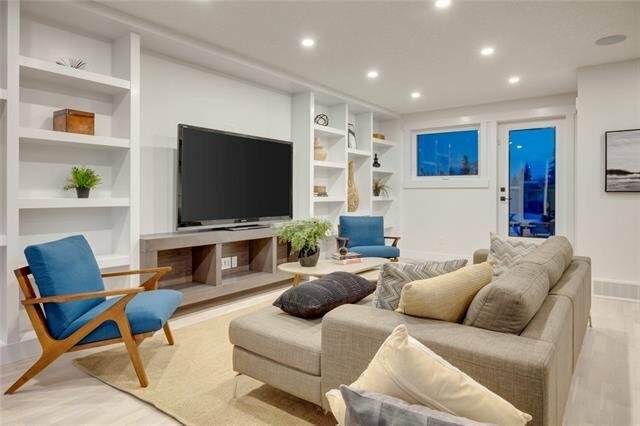 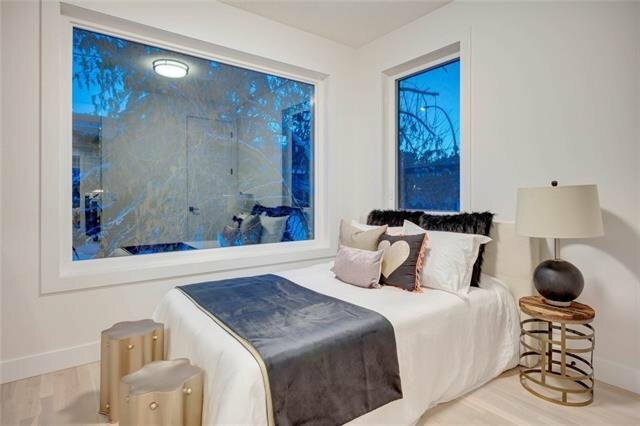 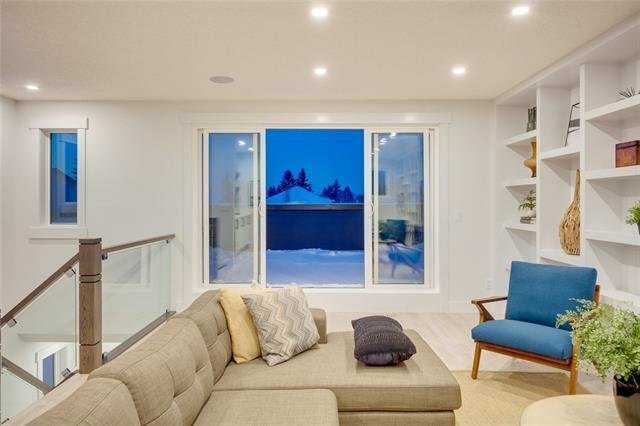 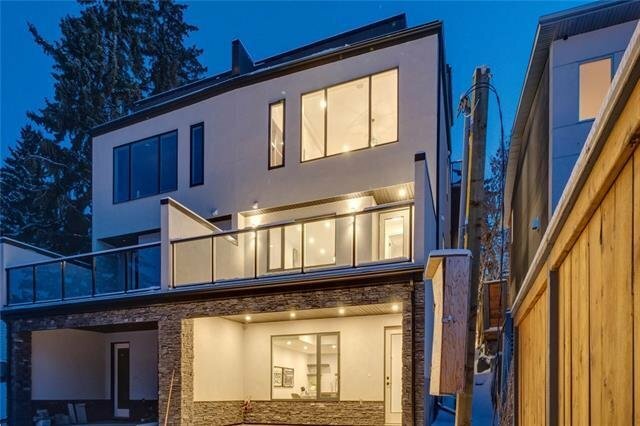 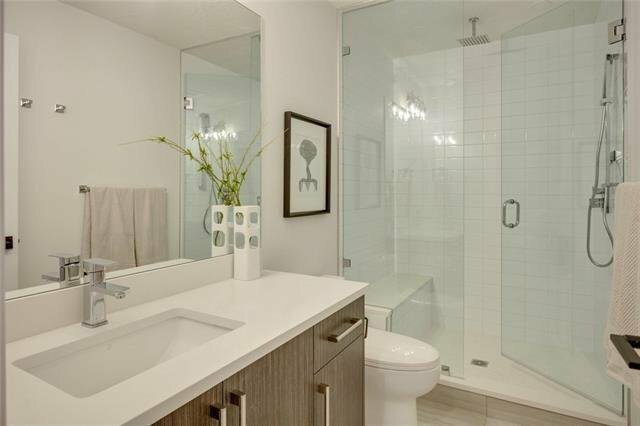 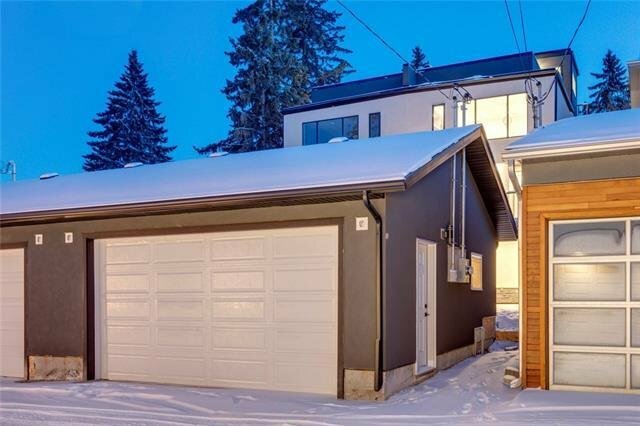 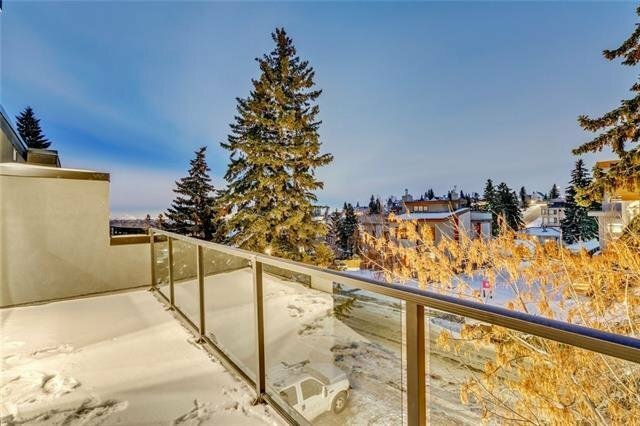 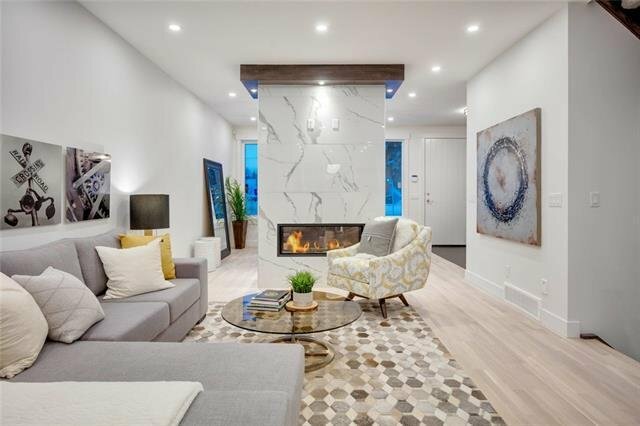 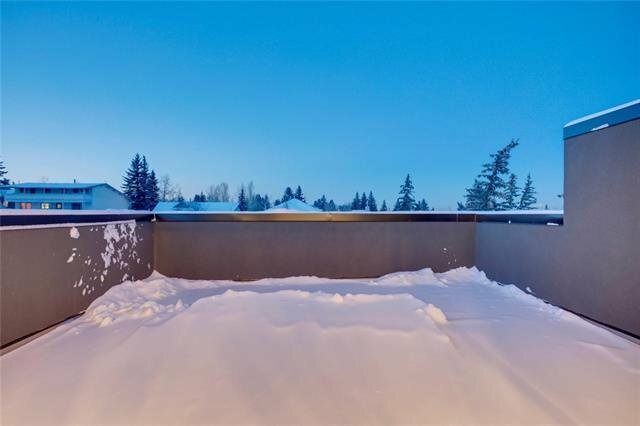 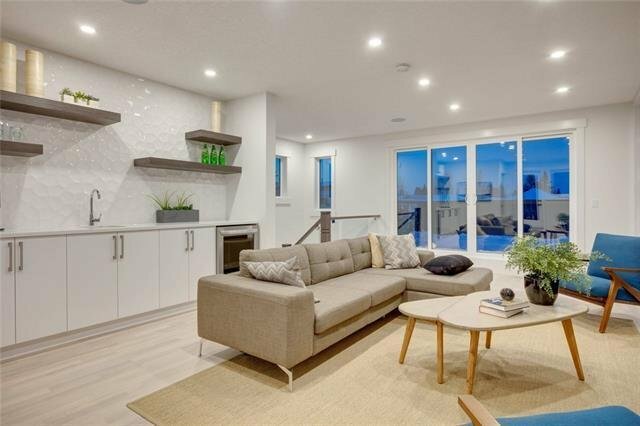 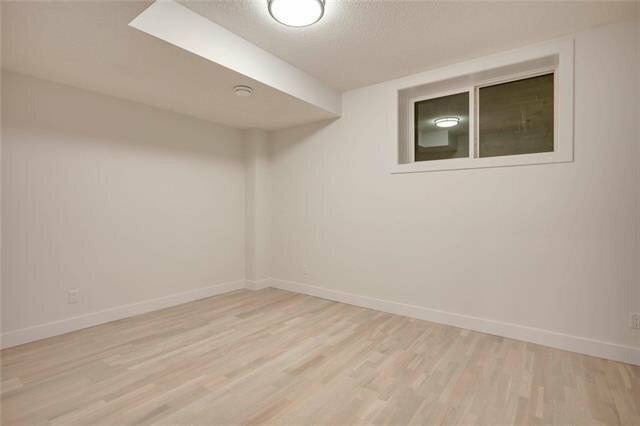 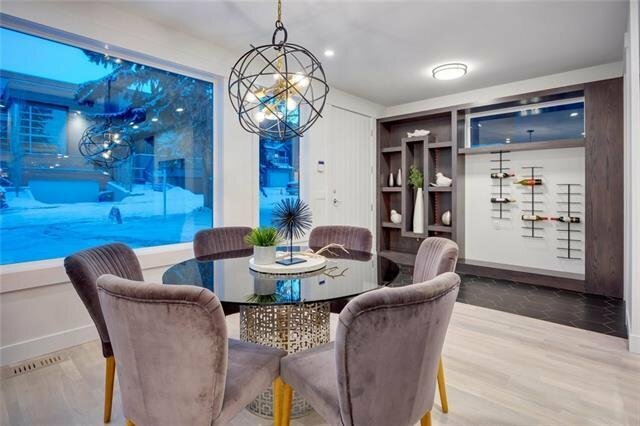 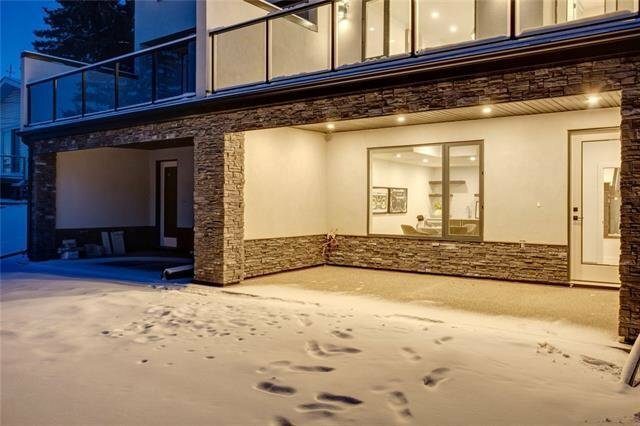 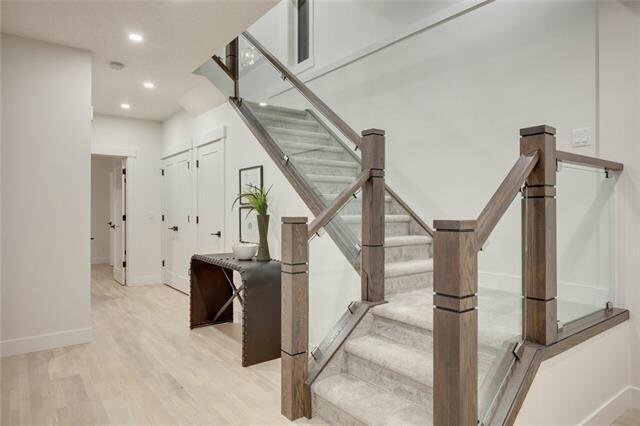 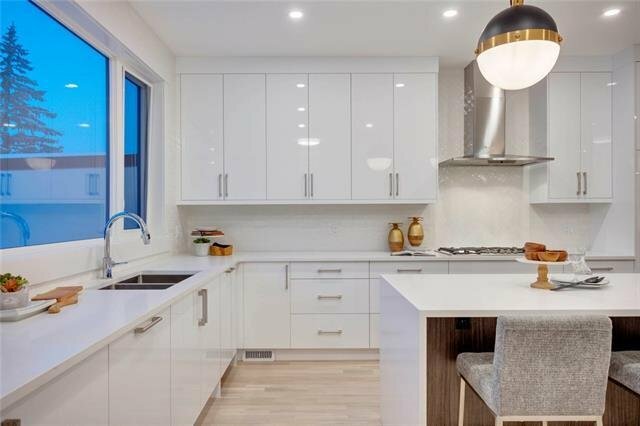 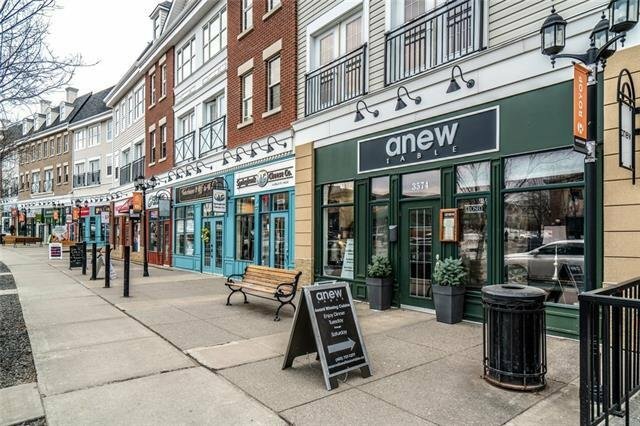 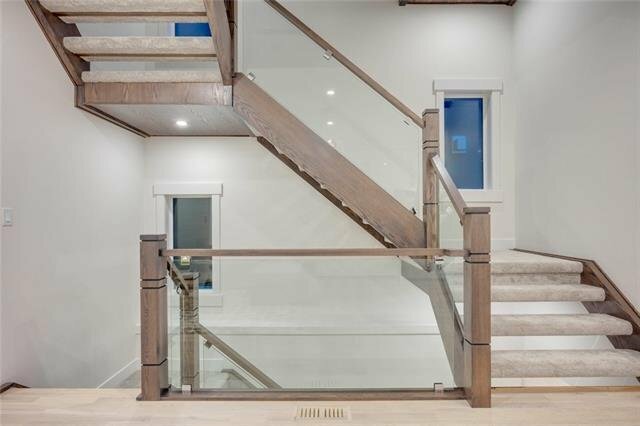 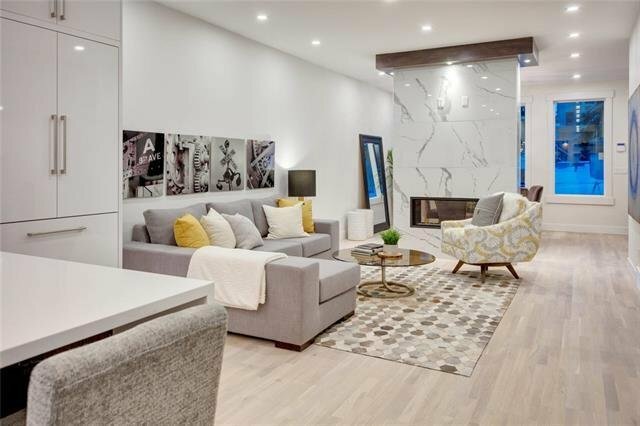 *WOW - $50,000 Price Adjustment* Luxury & Elegance in a RARE WALKOUT home in Marda Loop featuring 4 bedrooms & 5 baths in 3100 sqft of living space seamlessly incorporating art & functionality, maximizing the amazing CITY & DOWNTOWN VIEWS from THREE PRIVATE OUTDOOR PATIOS & a fully developed WALKOUT! 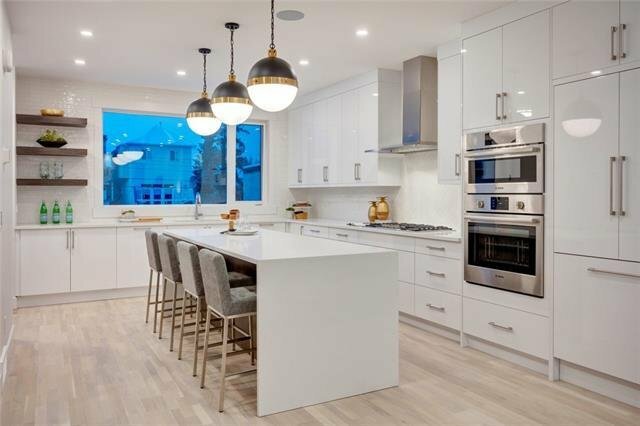 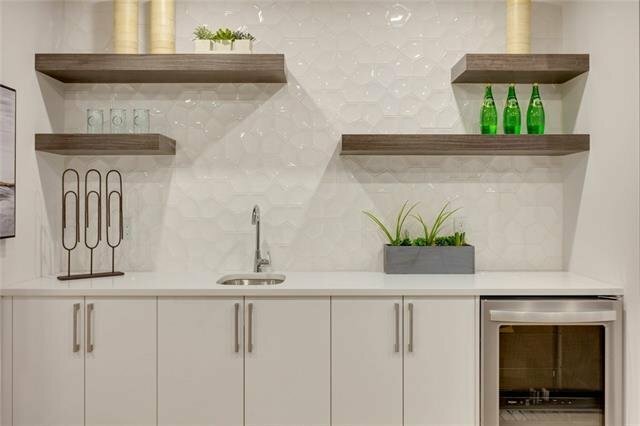 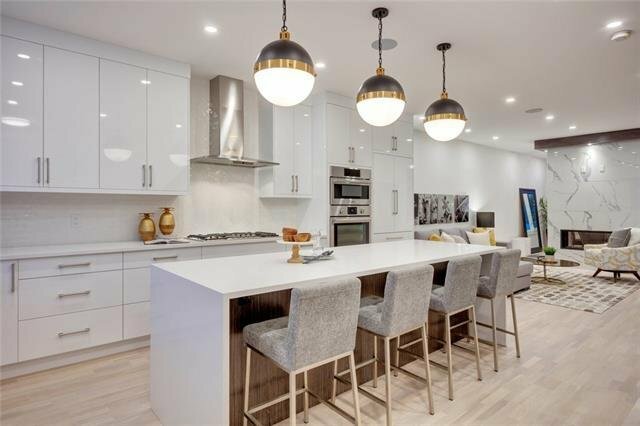 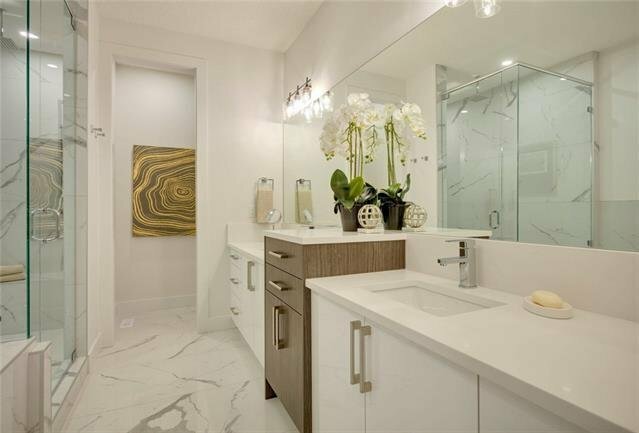 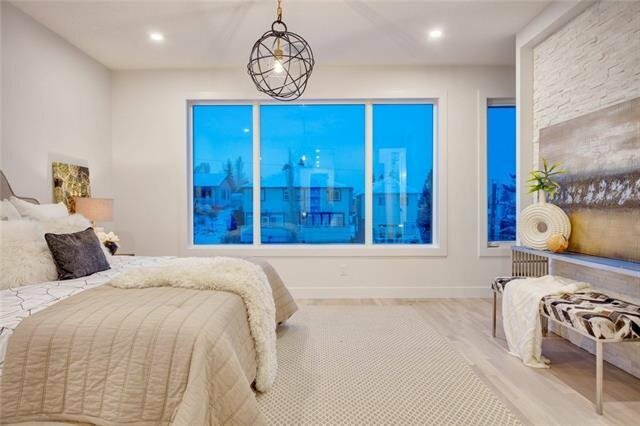 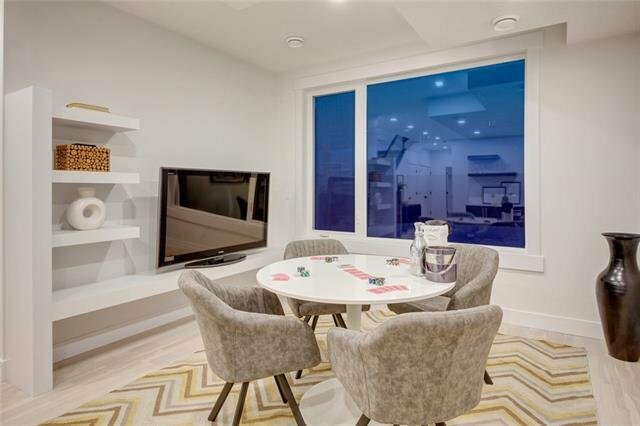 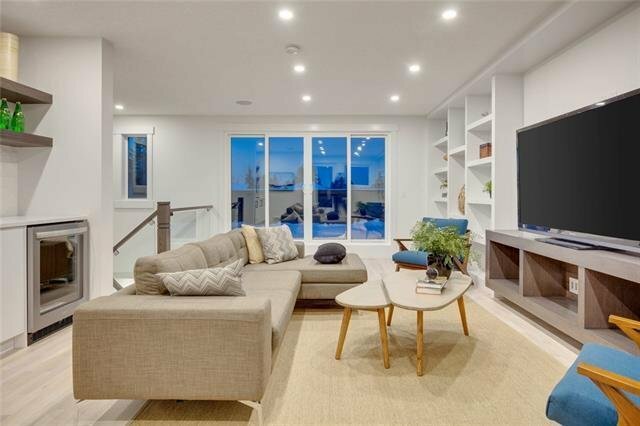 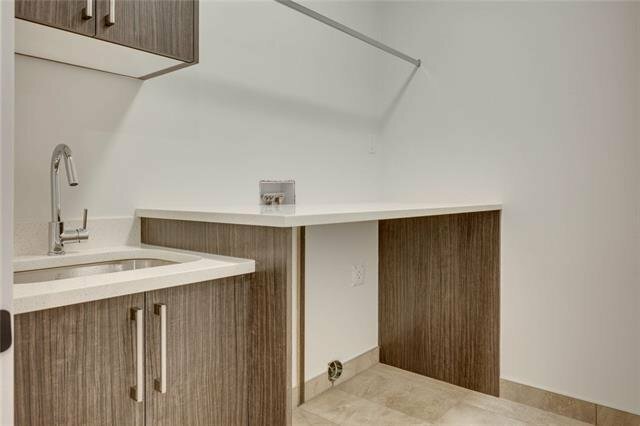 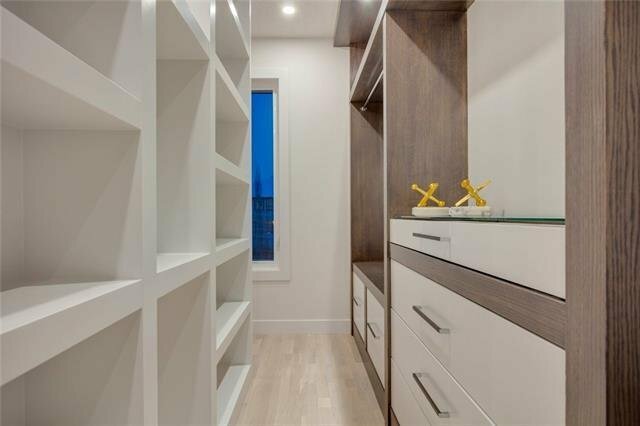 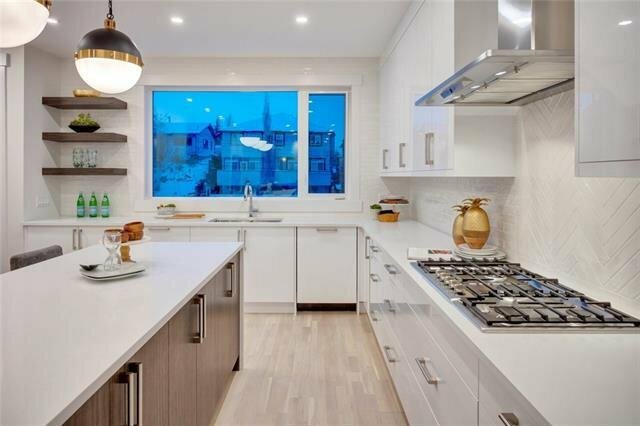 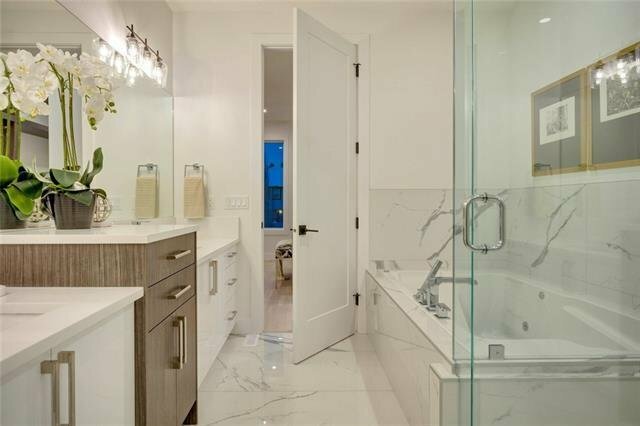 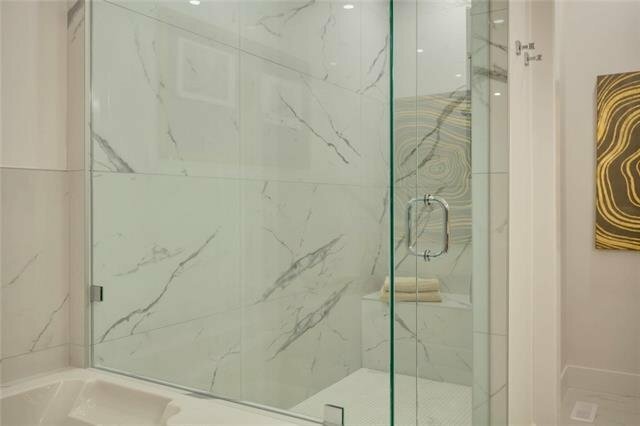 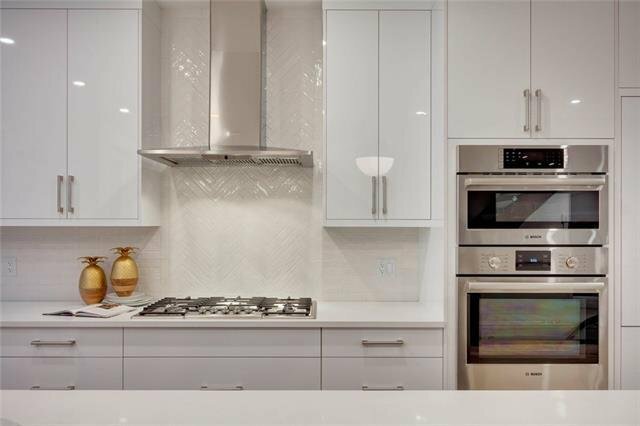 Designed with clean lines this MODERN MASTERPIECE boasts a gourmet kitchen, high gloss cabinetry, quartz, massive island, highend appliances, 6 burner gas, builtin ovens, drawer dishwasher & cabinet fridge! 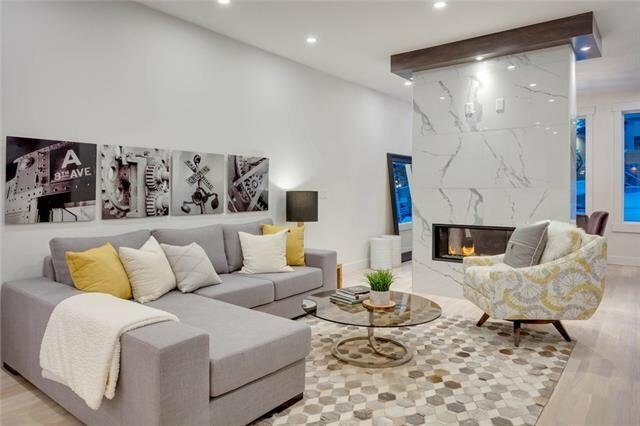 Floor to ceiling 2 sided marble encased fireplace is enjoyed from every room. 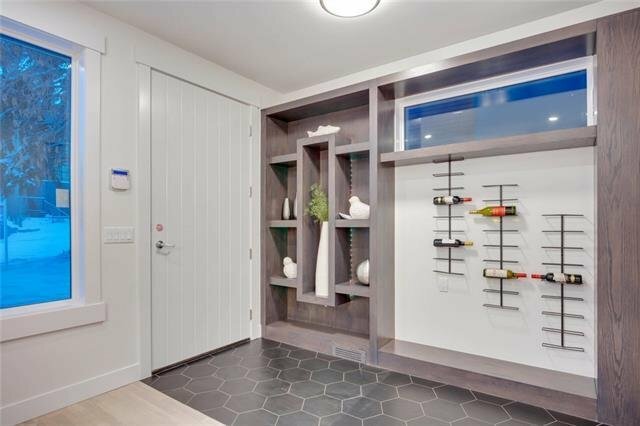 On one side a warm & inviting living room & on the other a formal dining with builtins & wine rack. 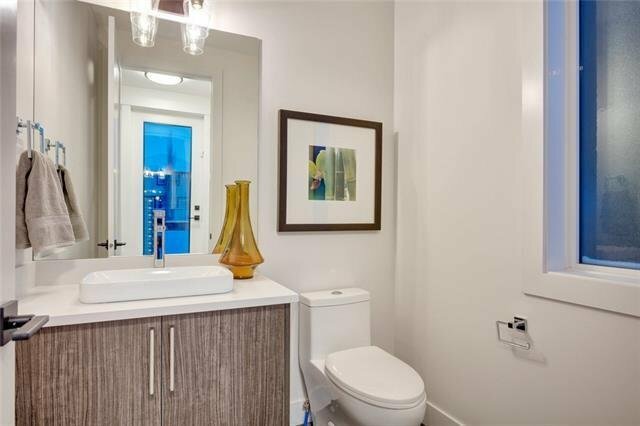 Master retreat is a private oasis with spa inspired 6 piece ensuite & mode closets & features. 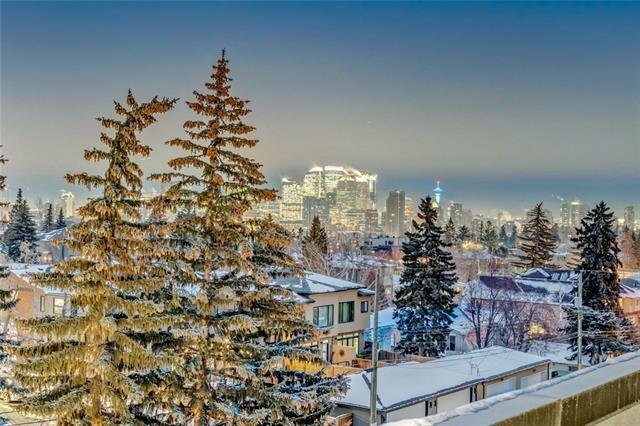 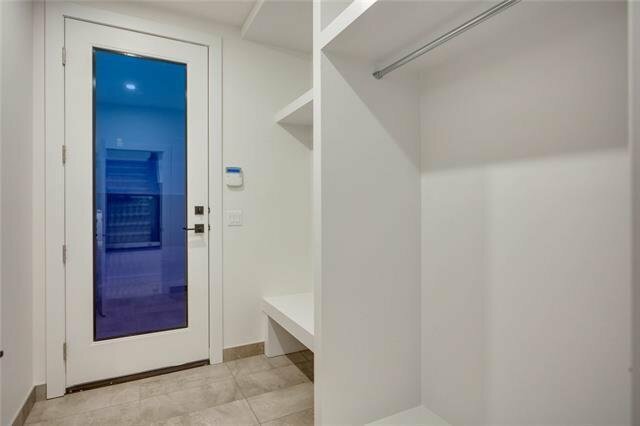 TOP FLOOR LOFT/MEDIA area is ideal for entertaining - wetbar, wine fridge, washroom, 2 rooftop patios & stunning CITY VIEWS. 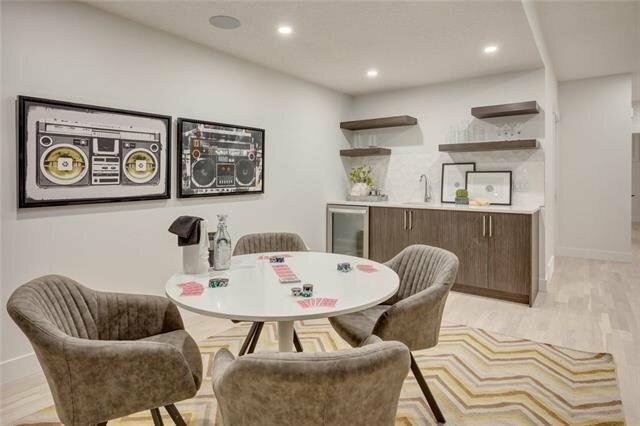 Lower WALKOUT - family/game room, another bar, the 4th bedroom & the 5th bath! 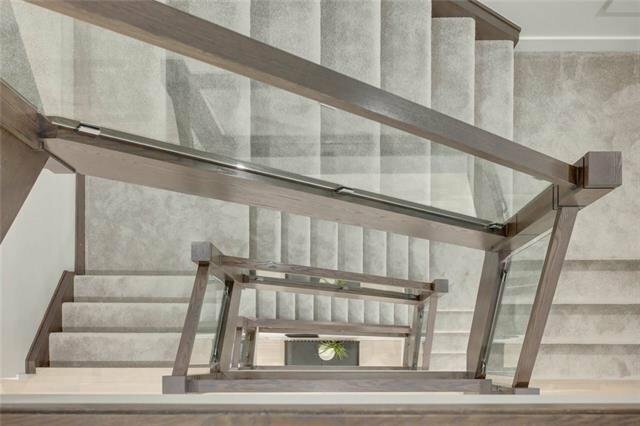 Unsurpassed quality & workmanship!